On February 6, 1928, an attractive young woman arrived in New York on the ocean liner Berengaria. She held a press conference before she disembarked, explaining she had come to the United States to have her jaw reset. She alleged she had been injured by a Bolshevik soldier at Ekaterinburg, Russia, in July 1918. Calling herself Anastasia Tschaikovsky, she claimed to be the Grand Duchess Anastasia, the only member of the Russian Imperial family to survive the carnage of their mass assassination. After Czar Nicholas had been forced to abdicate the Russian throne in 1917, he, his wife Empress Alexandra, their five children, and four servants were taken prisoner by the Bolsheviks. Hearing that pro-Czarist forces were in the area, and fearing the Royal Family may be rescued, the Romanovs and their retainers were lined up in two rows and blasted with a hail of gunfire. Those still stirring after the smoke cleared were stabbed repeatedly. Their bodies were drenched in gasoline, dumped in an abandoned mineshaft, and set alight. In 1920, a woman who refused to reveal her identity was pulled from a canal in Berlin. She was committed to an asylum, where two years later she announced she was none other than the Grand Duchess Anastasia. She said one of the Bolshevik soldiers took pity on her when he found that she had survived, and helped her make her escape. Her body was covered with disfiguring scars, and she was beautiful and well-spoken, so there were those who believed her. Among them was the Royal Family’s physician’s son, Gleb Botkin, who knew the Grand Duchess. Eventually Anastasia Tschaikovsky became known as Anna Anderson, and her supporters embarked on a long mission to gain her official recognition as the Grand Duchess Anastasia. However, the Grande Duke of Hesse, Czarina Alexandra’s brother and Anastasia’s uncle, were not buying it. The Duke hired a private investigator to find out who this Anna Anderson really was. The P.I. informed him that she was really a Polish-German factory worker named Franziska Schanzkowska who went missing in 1920. She had a history of mental problems and was hurt in a work-related incident, which explained her extensive scarring. These findings were published in German newspapers but could not be proved definitively. So Anna Anderson continued her fight, but lost all her court cases. She died in 1984. When the remains of the Romanovs were found and tested, Prince Philip, the consort of Queen Elizabeth II and the grand-nephew of Alexandra, gave blood to aid in identification. His sample proved that the remains of the Czarina and the children were all Romanovs. But the remains of one daughter and the only boy were missing (they turned up in 2007). 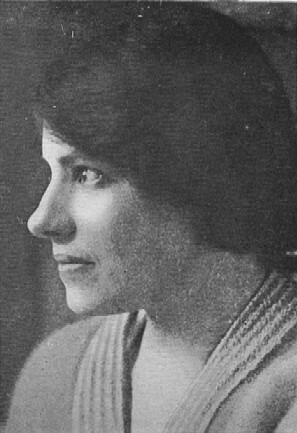 Could it be possible that Anna Anderson really was Anastasia? Luckily, scientists in England had access to a tissue sample from Anna Anderson so they could compare her DNA to that of the Romanovs. A team in the US did the same test using a strand of her hair. Both came to the same conclusion: Anna Anderson was definitely not a Romanov. To put the issue to rest once and for all, next they compared Anna’s DNA to that of Karl Maucher, Franziska Schanzkowska’s great-nephew. It was a match, proving that the Grand Duke of Hesse got his money’s worth hiring that private detective, and solving one of the most enduring mysteries of the 20th century. Anastasia Arrives in the U.S.